All Fort Valley homes currently listed for sale in Fort Valley as of 04/24/2019 are shown below. You can change the search criteria at any time by pressing the 'Change Search' button below. If you have any questions or you would like more information about any Fort Valley homes for sale or other Fort Valley real estate, please contact us and one of our knowledgeable Fort Valley REALTORS® would be pleased to assist you. "Price adjustment! This property is a total of 31.19 acres. Circa 1900 Hickory house overlooks a tranquil pond with large machine shed/workshop, gazebo, deck, dock, barn, pastures and lighted ring all on 12.37 acres. Across the street, 1810 Camp Roosevelt house built in 2014 is on 7.22 acres and includes an 11.6 acre lot with pond and creek. PLUS a deeded horse trail to Nat'l Park! All in pristine condition!" 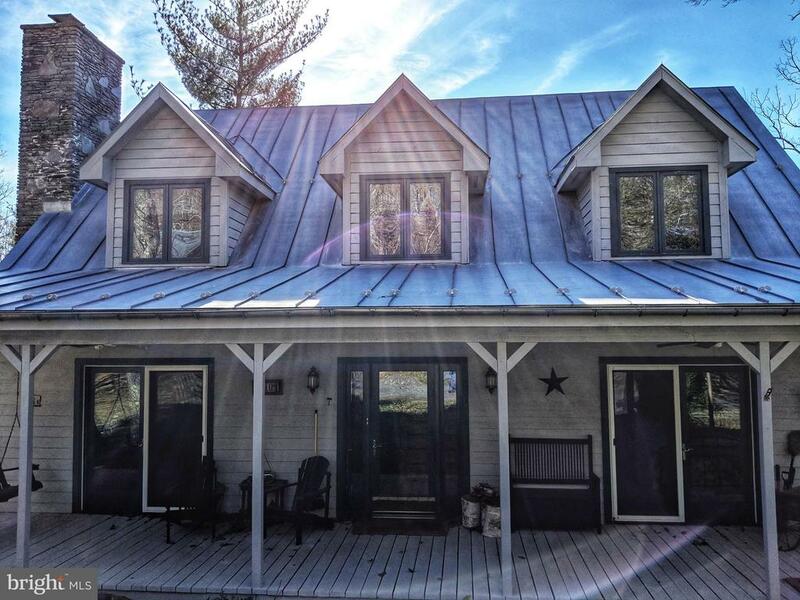 "One of A Kind Custom Home - Nestled in the foothills of the Massanutten Mountains your tranquil retreat awaits, sitting on 11 acres this one level contemporary 3800 sq ft home is full of worldly attributes. Enjoy the ceramic tile, hardwood floors, reclaimed wood accents, private home offices, library, game room & more. Invest in yourself & the owner's impeccable taste is yours!" 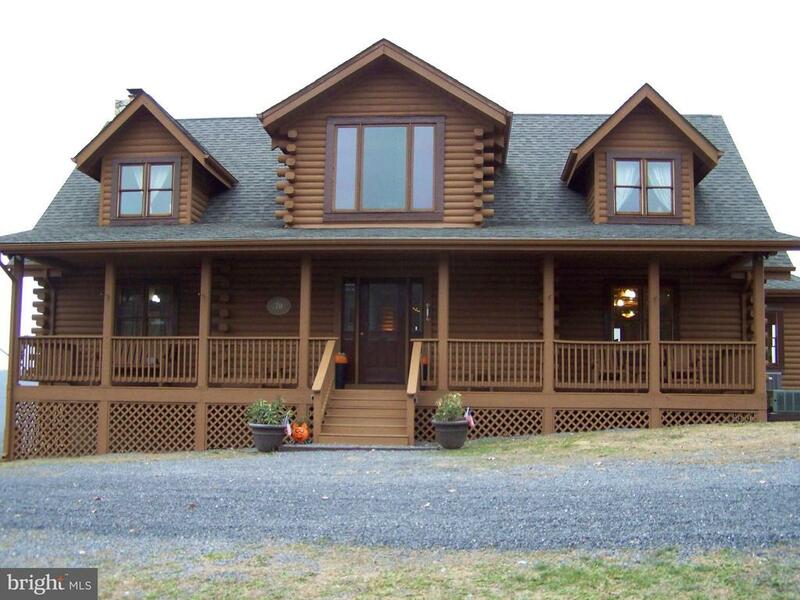 "Grand Log Home on over 50 acres with yr round breathtaking views from every window. Vaulted ceiling, 2 stone fireplaces, Huge Deck with several seating areas to enjoy the view and entertain family and friends. No HOA or restrictions! Land borders Nat Forrest. Space to build more cabins/homes. 2 Good access roads to property. Abundant wildlife, great hunting, Historic Ft Valley. 3 levels. Saferoom, full bath, woodstove in walkout basement. Too many extras to list. No close neighbors. This one is a MUST SEE!" "Price Reduction! Top quality construction and attention to detail! Master on the main, reclaimed hardwood floors and upgraded lighting. Gas cooking and FP. Walk out basement with full bath and bunk bedrooms. 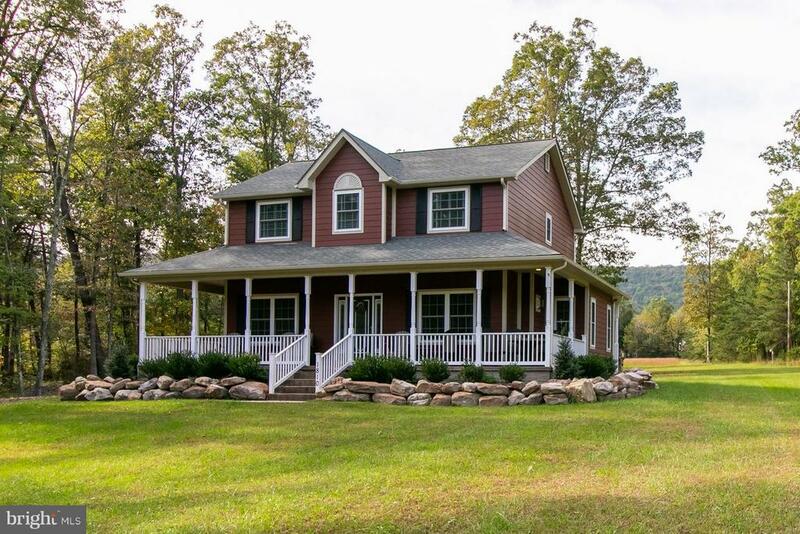 House sits on 7.22 acres PLUS there is an 11.6 -acre lot across the street with pond, creek, barn/shed and access to Nat'l Forest trails for a total of 18.82 acres! Whole house generator!" "Idyllic setting! Circa 1900 restored manor house with tranquil views of pond and countryside! Gazebo, deck, large machine shop, 7- stall barn with tack room, riding ring and pastures. Garage offers gym, sauna, office above and hot tub. Ride into the Nat'l Park, fish on your own pond, or ski nearby! Listing includes machine shed, barn, pond on each side of road at entry for a total of 12.37 acres! Price Reduction!" 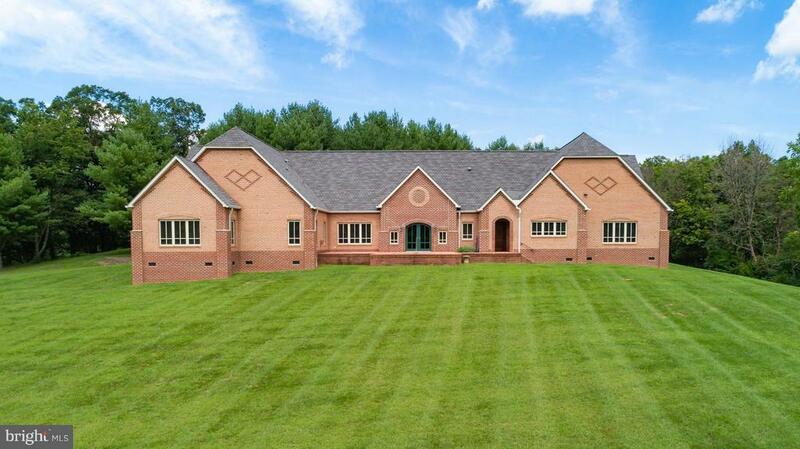 "Beautiful Custom Built Home on nearly 3 acres. Family Rm with Stone Fireplace, 2 Gourmet Kitchens, 5 Bdrms and 3 and 1 half Baths on the Main Level, Additional 2 Bdrms and 2 Bths on the Lower Level.Ceramic Tile Baths, Main Level In/Law/Au/Pair Suite. Screen Porch, Professional Office Space, Media Rm, Recreation Rm, Music Rm, School Rm, 3rd Kitchen on Lower Level with Outside Serving Window. TMTL!!" "Fort Valley masterpiece. This well appointed custom built home is a must see. Hardwood floors, hickory cabinets, grand stone fireplace. Andersen windows and doors throughout. 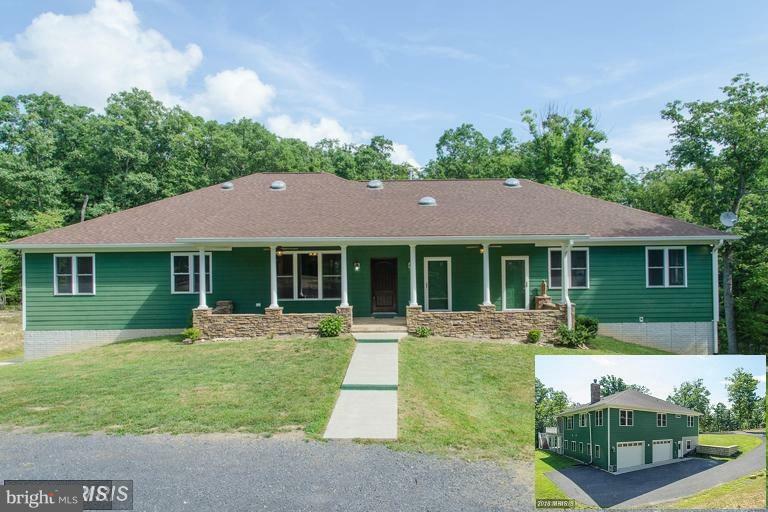 Open floor plan with plenty of space for your family and friends when entertaining on your own private 5 acres bordering GW National Forest. Large deck and addtional balcony off loft. Stunning views. Small studio cabin with loft. Beautifully landscaped grounds. Huge garage/shop with large loft. Backup generator. Home warranty." "This property is bordered on two sides by the GW National forest and is an amazingly secluded 40 acre parcel of land in Fort Valley, VA. Cold water fed pond, with fish, and two creeks. A custom built 100 ft rifle range with a berm, sporting clay course and archery range. There is a state road frontage that has electric, telephone and internet lines. Private 800 ft. deep well that is never dry.The house is a Ranch style, has one level with a concrete foundation, three bedrooms and 2 baths with a half bath near the washer and dryer. On the backside is a 4 level deck with a screened in porch. You can see an awesome view of the mountains from all levels. Inside are hardwood floors, fireplace insert, central A/C and baseboard heat. There is also a 10KW generator thats tied into the house with electric switch.The guest house has a few cool features too. You can bring 4+ additional guest for hunting or just hanging out. There 3 extra beds and a couch. Full kitchen, bathroom, attached garage and a 50 ft ham radio antenna that broadcasts around the world. Mineral rights convey with property." "Total of 18.8 acres of land with a Brick ranch home with full walk out basement finished with 2 state Rd frontages . One on Fort Valley Rd. and the other Rd is Tower Rd. FANTASTIC MOUNTAIN VIEWS. 2 ponds ,outbuilding, wooded and open land.2 tax map parcels: Tax Map#61A42 and 60A77D for a total of 18.8 acres. House has hilltop setting in the Fort Valley. 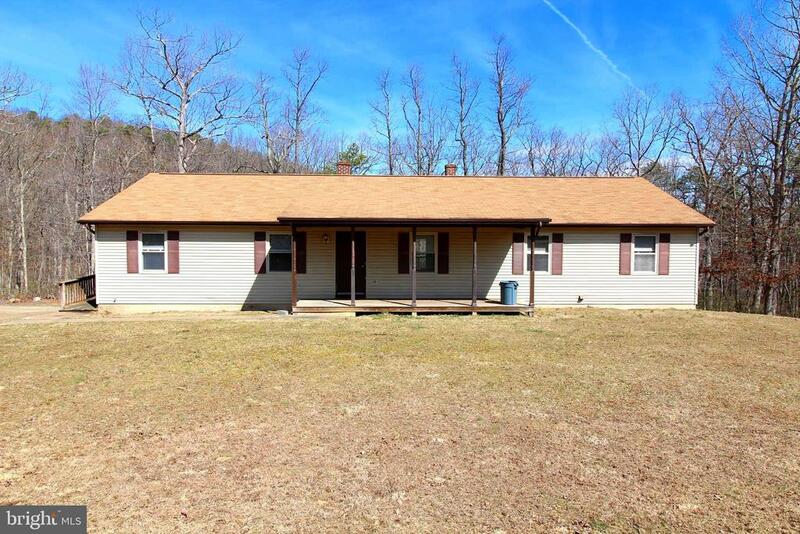 One parcel consist of 15.3 acres & 3.5 acre"
"27+ acres in beautiful Fort Valley, long frontage on state road conveniently located to Edinburg or Luray, incl well maintained 2 bedroom, 2 bath cozy rancher with immaculate hardwood flrs, new furnace, central A/C, walk up attic, full basement, breezeway & att garage. 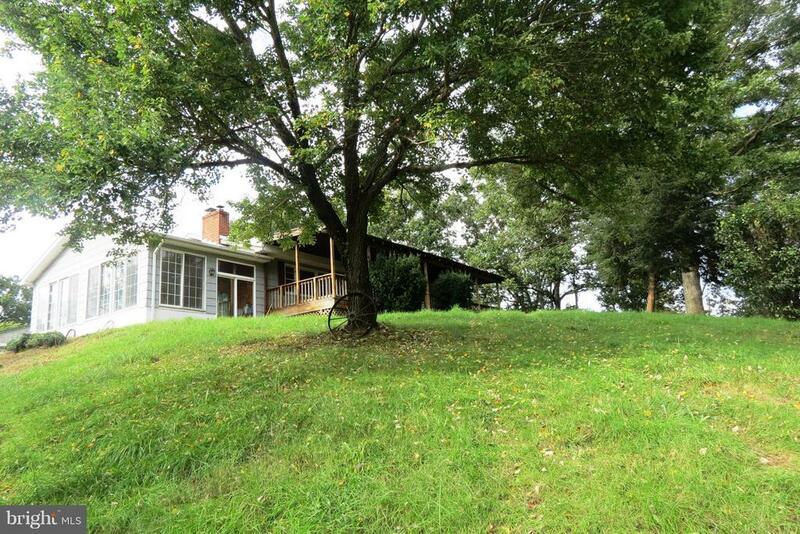 27 acres, open field for a few animals, gardening or room to expand, balance in woods. This is just what you've been waiting for!" "Welcome home! 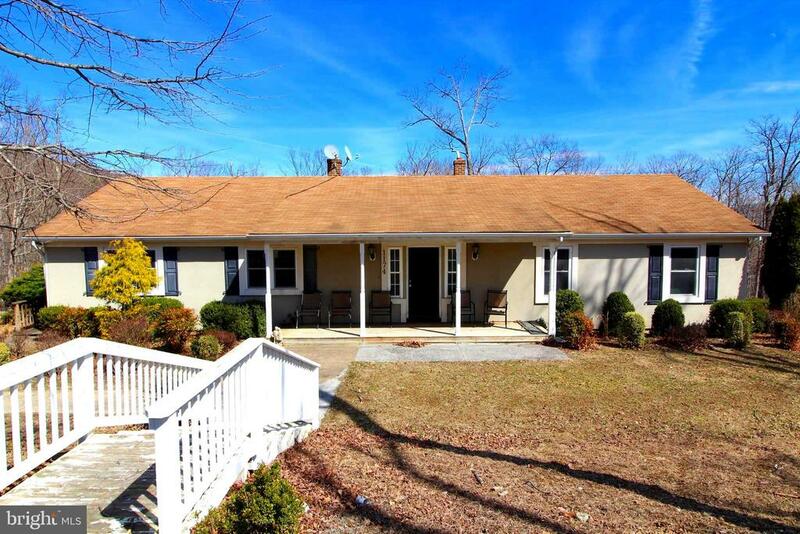 This lovely raised ranch home sits in the heart of Fort Valley. The spacious 3900 square foot home boasts 6 bedroom and 3 full baths, hardwood floors, open concept floor plan, and the quiet serenity you can only DREAM of. With almost an acre and a half of land, you'll feel like you're on vacation when you're home. Don't miss out on this little gem in the valley." "Welcome home! 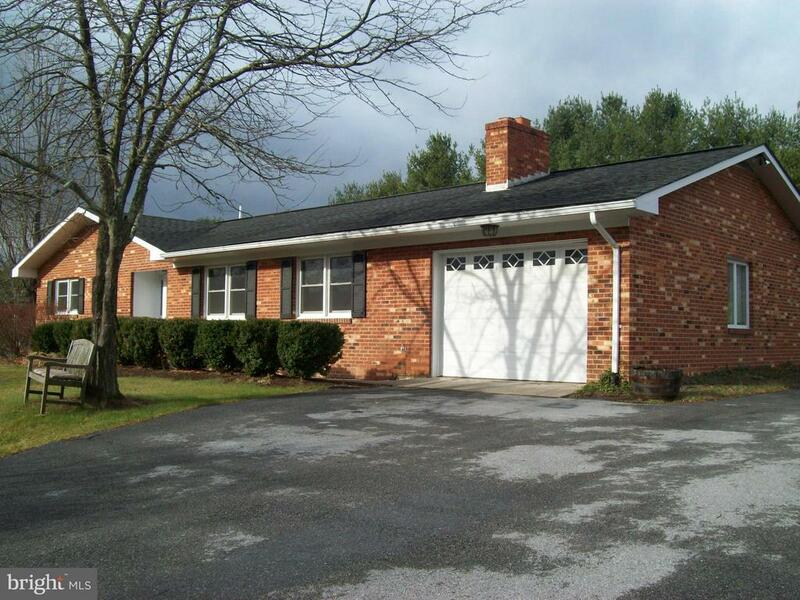 Spacious ranch home offer over 3000 square feet. Large lot, almost 1 and 1/2 acres. You will love the quiet peaceful nature surrounding you. No need to go on vacation when you can live in a place as beautiful as this! Come see it today. This one won't last long!" 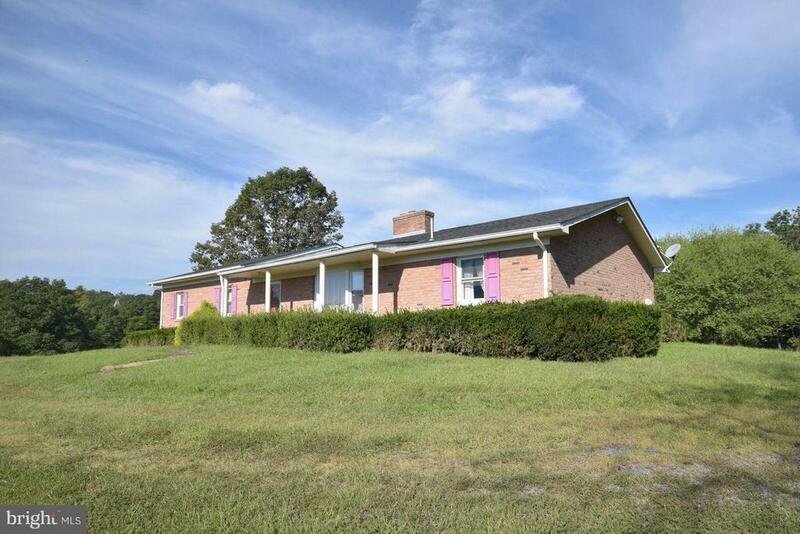 "Beautiful Brick Ranch home on 1+ acres of land in Fort Valley. Main floor has 3 bedrooms and 2 full bathrooms and a large deck off the dining room area. Fire place in living room. Finished basement including bedroom , full bathroom, living room and kitchen. Walk out basement. Blacktop driveway and one car garage. Outside wood furnace and shed in back yard. Large laundry room in basement." "MOTIVATED SELLER, BRING OFFER!! 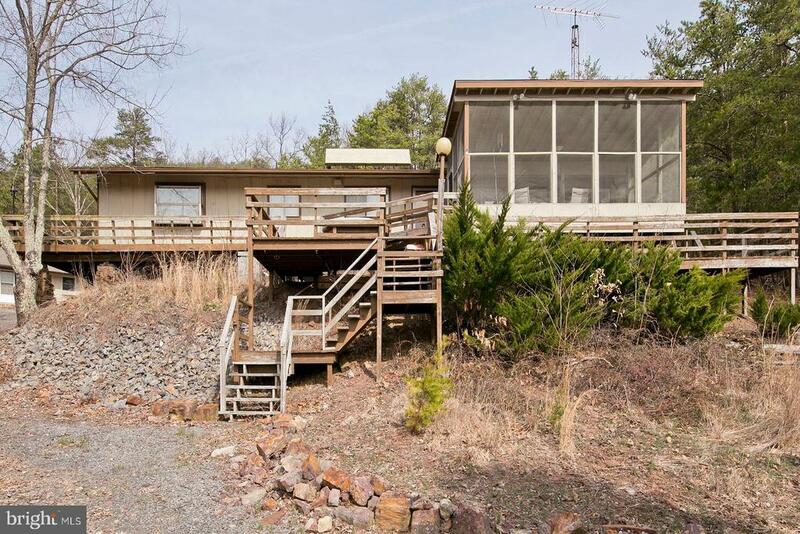 Perched on a hillside, this home offers amazing mountain views from the front and rear of the property. Ideal location for someone who loves the outdoors. 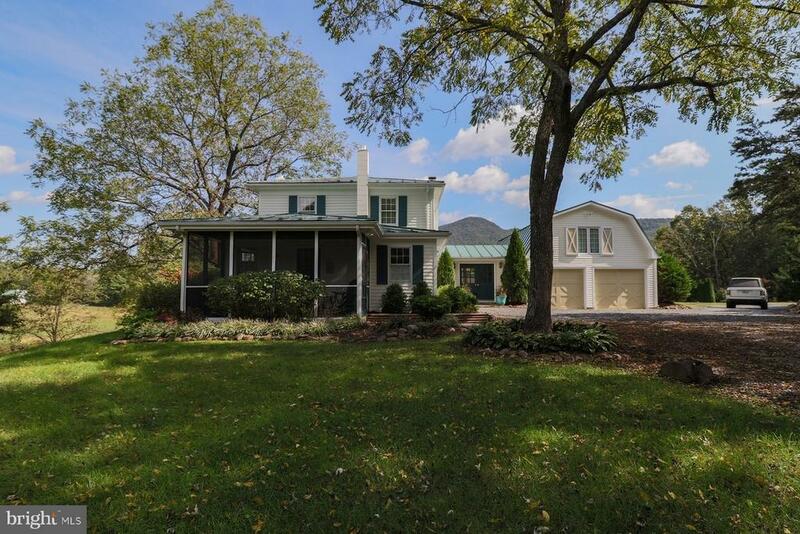 This home is just minutes from the National Forest, Shenandoah River and trout stocked streams. Private location between 2 mountain ranges offering wildlife and peace and quiet. Short drive to Woodstock, Luray or Front Royal." 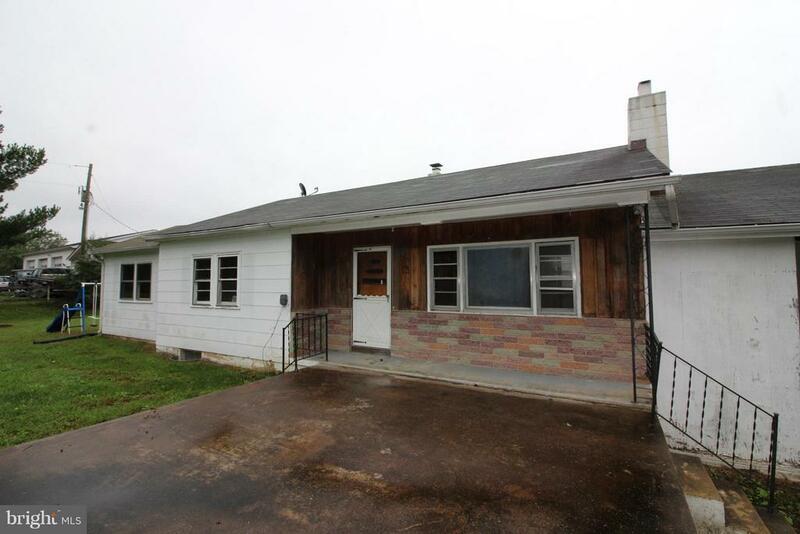 "Mountain Views is what you will have from this 3 Bedroom, 1 Bath Ranch home in Fort Valley. This Home Features a spacious eat-in kitchen, Living Room with a wood stove, Nice sized Master Bedroom, Extra Room for Office or 4th BR, Front patio and unfinished basement. 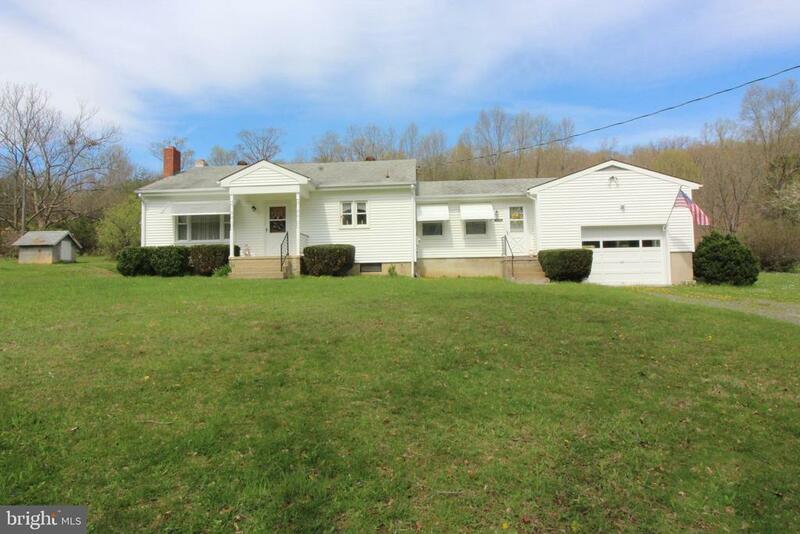 This home does need lots of TLC and is just waiting on you to do it! Sold As-is Call for more details."